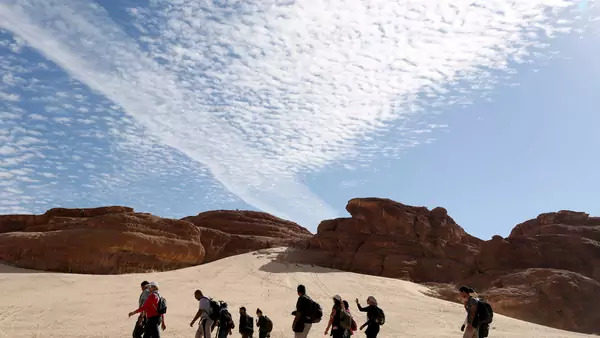 Hikers walk in the Wadi Hudra area in South Sinai, Egypt (Asmaa Waguih/Reuters). Reading selections for the weekend of August 25, 2017. Enas El Masry explores efforts by Bedouin tribes to boost domestic tourism in the southern Sinai Peninsula. Zeead Yaghi recounts how waves of refugees throughout the twentieth and twenty-first centuries have shaped the Lebanese city of Karantina. Camille Reynolds looks at the communal benefits and future of street art in the Middle East during times of increasing oppression.